When a show tries to balance two seemingly disparate elements and combine them into one unusual new creation, it’s hard not to get a little nervous. Creativity and originality is always something to be encouraged, especially as network TV is slowly becoming more adventurous, but when is something creative and unique and when is it jumbled and incoherent? It takes a certain feathery touch from the powers that be to keep a show’s highly individualized identity sacred while making sure it’s fairly accessible and tells a good, solid story in the process. 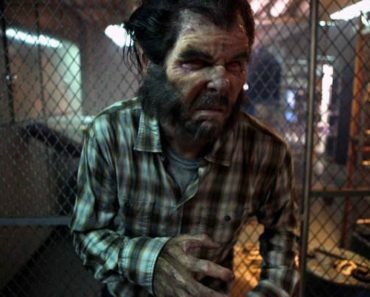 After watching the pilot episode of Grimm, the latest creation from frequent collaborators David Greenwalt (Moonlight, Buffy the Vampire Slayer) and Jim Kouf (Ghost Whisperer, Angel), I’m still a little unsure if it quite knows how to balance both elements of its identity. 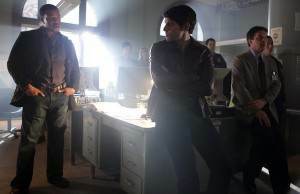 Throughout the episode, you’re shifted between a fairly commonplace procedural, headed by detectives Nick Burhardt (David Giuntoli) and Hank Griffin (Russell Hornsby), and a supernatural tale of a band of fairy tale hunters, of whom Nick is one of the last survivors, with the differences between the “two Grimms” being very pronounced, to say the least. 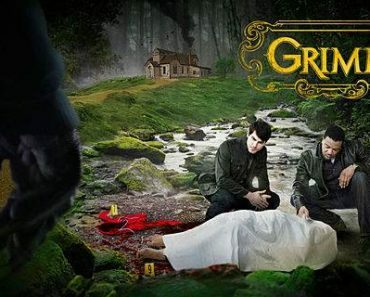 When Grimm lets itself revel in the fairy tales influences that it has, it’s a pretty fun little show, though most of the heft comes from how cool it is to look at. There are times watching the episode felt like reading a storybook from my youth, as the extremely vivid colors (the greens, especially), striking lighting, and eerie fog all feel authentically Grimm in their “other worldliness”. The cabin where the episode’s villain resides, especially, was almost jarring with how realistically near-animated it felt, with its dreamy, 1950s-ish camera effects helping to disguise the monster that resides in the middle of the woods. I almost wish that the show stayed with that type of tone, just to see if the show could pull off being strictly fairy tale, but you could argue that the contrasting tones are a visual representation of Nick’s psyche. 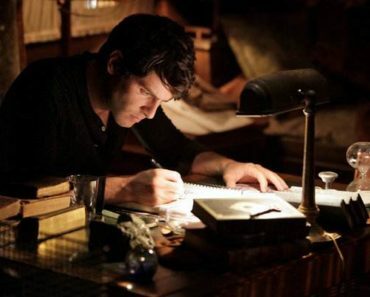 Part of him resides in the “normal” world where he’s getting engaged to his girlfriend Juliette (Bitsie Tulloch) and he’s working his way up the department, but once his aunt Marie informs him of his impressive lineage, the other part of him will always be involved in the extraordinary, the creatures, the Grimm. 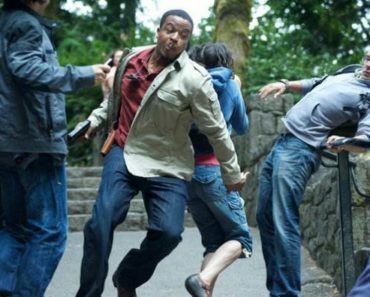 I don’t think the procedural elements of Grimm are bad, per se, but the shifting back and forth will take a little getting used to. The case itself felt like something that could have been solved during any of the dozens of Law & Order marathons you’ve seen on a lazy Saturday (don’t think I don’t know), but making it Little Red Riding Hood in 2011 (complete with quote from the actual fairy tale at the beginning of the episode, a trend I hope continues) was enough of a tweak that people not into procedurals can watch Grimm and get a lot of value out of it. It speaks to the universality of the Grimm Brothers storytelling, that something written centuries ago can be fairly easily translated into another medium without much clunkiness. 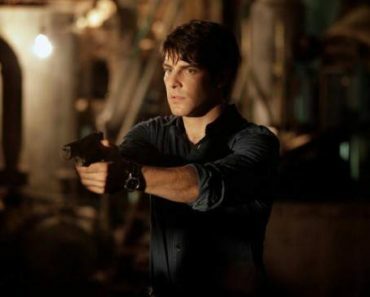 Plus, the procedural aspect of Grimm gives one of the spookiest images of the pilot, with the postman/big bad wolf (Tim Bagley, Will & Grace) opening up a closet to reveal a row of red jackets, each one from a previous victim. Grimm‘s supporting cast was mostly pretty nondescript during the episode, something I hope gets rectified in future episodes, except for the performance by Silas Weir Mitchell, an extremely talented character actor that brought a sense of fun to the show. Mitchell injects a spastic energy to his portrayal of Eddie Monroe, the VW Bug driving former big bad wolf, that fits right in with the show’s more out there tendencies, right down to his regiment of diet, drugs, and pilates, and his marveling at the presence of a Grimm. (“My folks used to tell me stories about you guys.”) Monroe is supposed to continue on the show, which wasn’t made very clear, and I’m glad that we get a chance to explore the other side of the fairy tale. Instead of focusing strictly on the “hero” struggling to accept his identity, we get to see the “villain” that has renounced his, an intriguing enough juxtaposition that could bring a little levity to what was heavy-ish show.